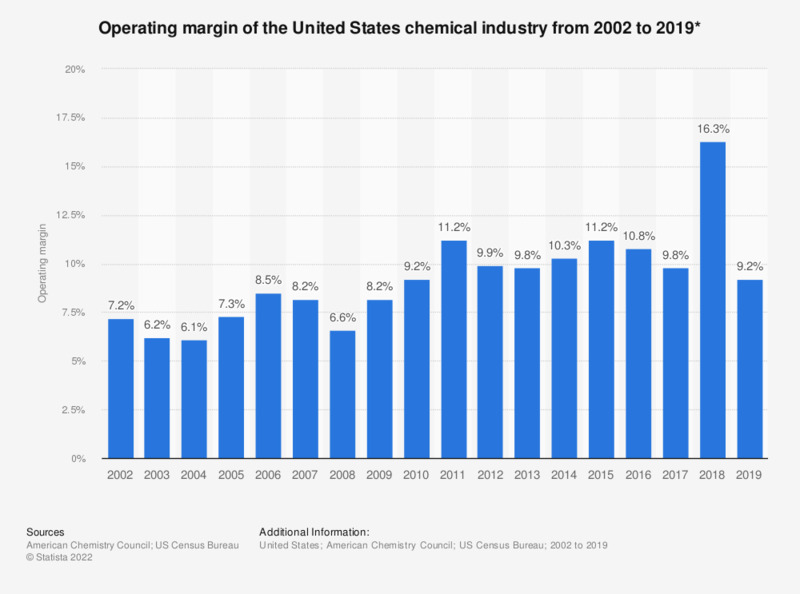 This statistic shows the operating margin of the chemical industry in the United States from 2002 to 2017. In 2002, the operating margin of the U.S. chemical industry stood at 7.2 percent. In 2017, the margin stood at around 10 percent. Data from the American Chemistry Council is based on Bureau of the Census data. Statistics on "Chemical industry in the United States"